A Haitian-American who sings in French, Haitian Creole and English, McCalla plays cello, tenor banjo and guitar. 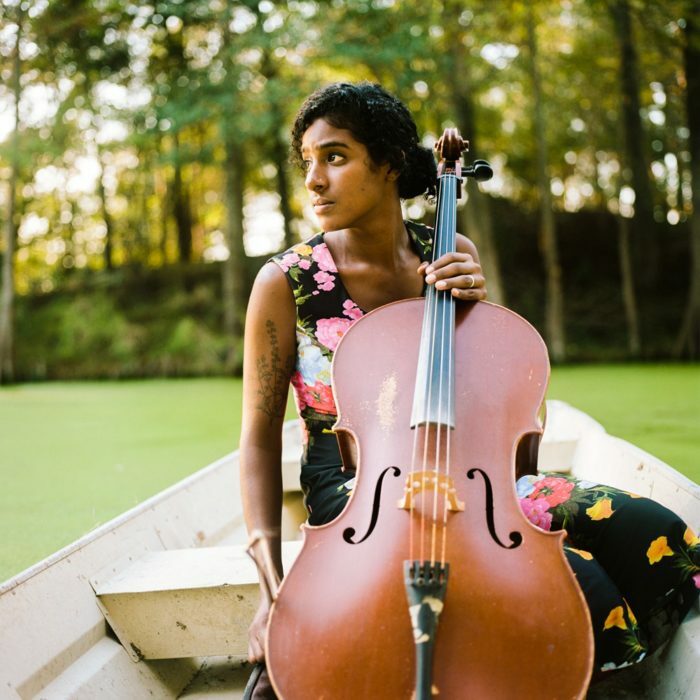 Deeply influenced by traditional Creole, Cajun and Haitian music, as well as by American jazz and folk, her music is at once earthy and elegant, soulful and witty, vibrating with three centuries of history. Offbeat calls her songs “ambitious, deep and gorgeous,” while the Boston Globe describes her sound as “at once varnished and sparse, like field recordings in high definition.” Born in New York City to Haitian immigrants, McCalla experienced a renewed sense of connection with her Haitian heritage after moving to the Crescent City in 2010. “I feel very at home here,” she says. “The more I learned about the history of Louisiana, its ties to Haiti and French-speaking culture, the more sense of belonging I felt and continue to feel.” The relocation led to her appearance on the Carolina Chocolate Drops’ Grammy-nominated Leaving Eden, as well as extensive concert dates as a touring member of the group. It also deeply enriched Leyla’s own music and sharpened her sense of purpose. Her latest disc is entitled, A Day For The Hunter, A Day For The Prey.